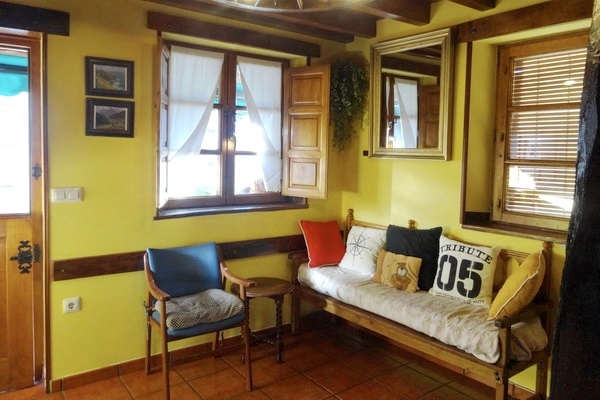 Originally a grainstore, hence its name "El Granero", this compact, homely and cosy, detached, stone cottage was converted into a holiday home by its farming owner a few years ago. Cleverly making the best use of space and quality local materials, his skill of carpentry and his artistic eye, create a truly country feel to the property. 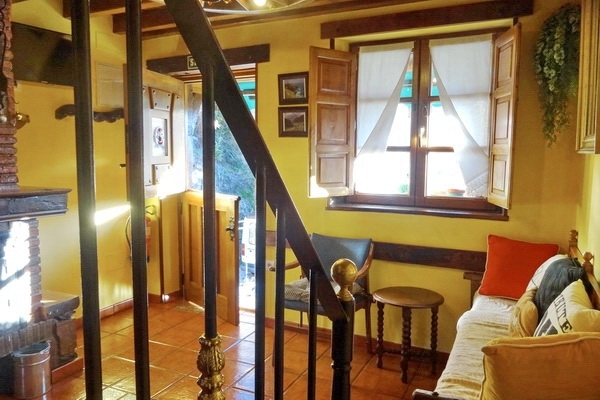 Set on a lane in the upper part of the pretty farming village of Arguebanes with other houses around, the view across fields to woods and the mountains beyond from its small south facing patio are a pure delight. 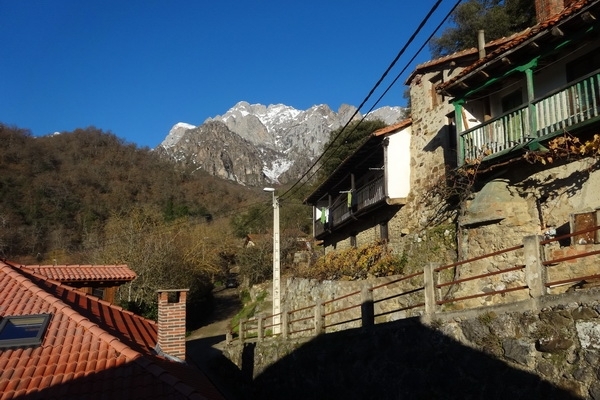 Backed by the magnificent peaks of the Macizo Oriental of the Picos de Europa with its verdant valleys and crystal clear rivers and streams, you are excellently placed for walking and exploring the surrounding area. 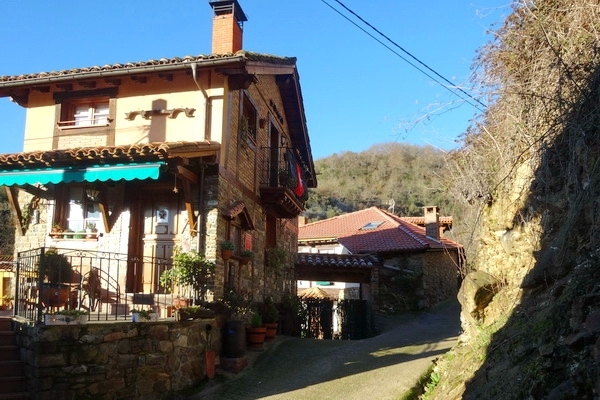 Though totally surrounded by nature, the lovely old market town of Potes with all facilities is just five kilometres away. N.B. There are two concrete electricity posts by the house, though they do not spoil your view. Outside front steps up to small south facing, fully enclosed paved patio with lovely view of fields and mountains. 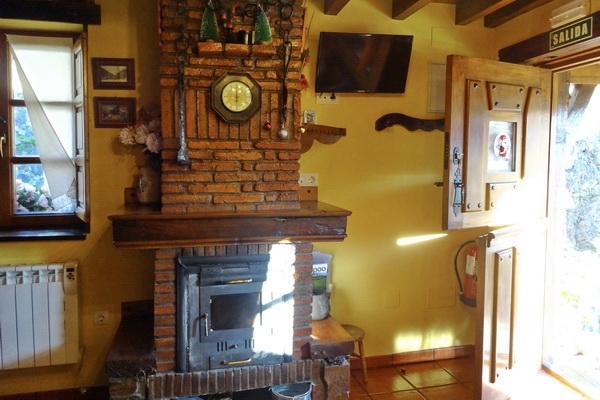 From this stable style door opens into open plan living room. Through arch from this to country style kitchen. 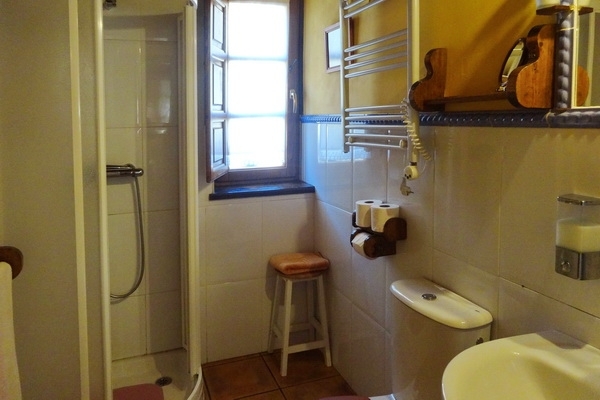 From living room to bathroom. 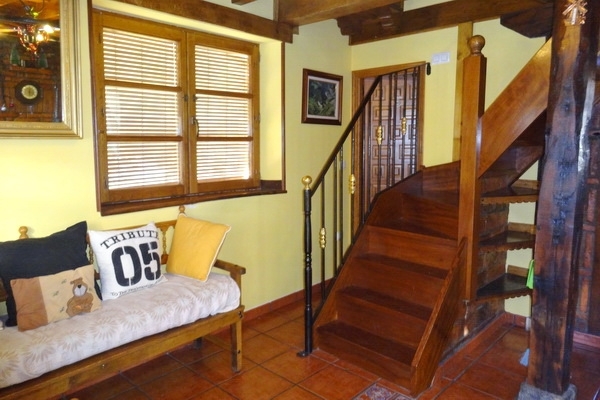 Up wooden stairs to tiny landing and door to small balcony with magnificent views of the Picos. 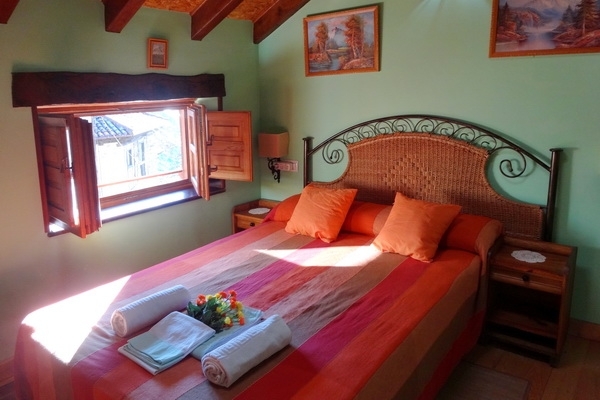 Off landing to two bedrooms (one double and one small double with mezzanine with single bed). Bedroom Details: 1 dble, 1 small dble, 1 sing. 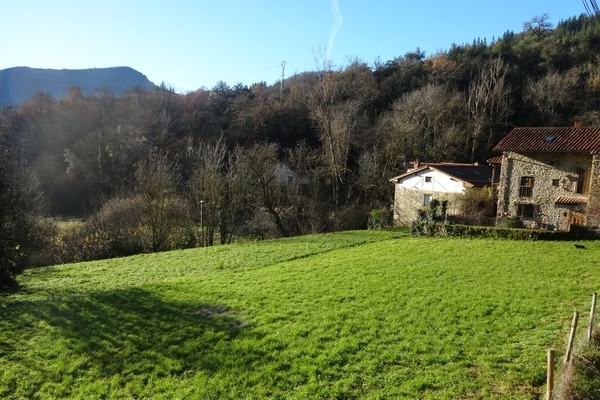 Nestling beneath the magnificent Picos in a beautifully valley surrounded by beech, oak and chestnut woods, pretty Arguebanes is a traditional farming village with some tourist activity. 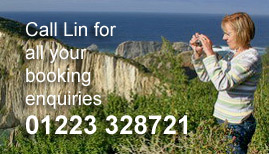 It is a perfect starting point for a variety of fantastic walks. 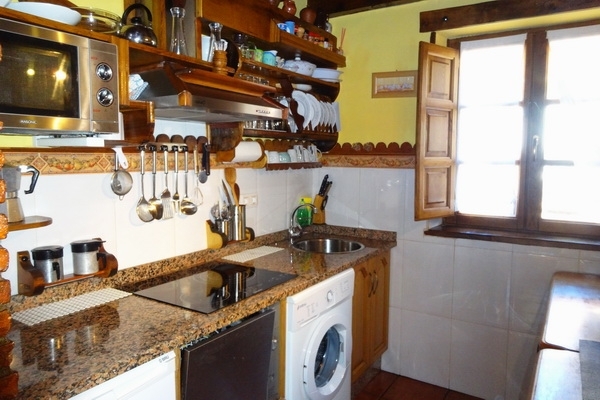 There are no facilities here, but the bread van visits and the market town of Potes, with most facilities is just five kilometres away. 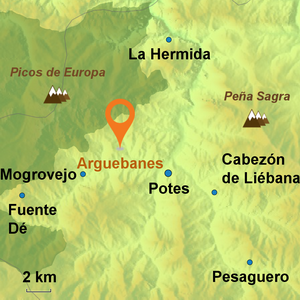 You are on the right side of Potes to easily access the cable car at Fuente De and there are plenty of bars and restaurants as you wind your way up the valley of Camaleno to there. Walking locally - There are a variety of wonderful walks that start from the village. Horse-riding - Centro Ecuestre Aravalle in Vinon, near Tama - the other side of Potes. Swimming in the River Deva at Camaleno. 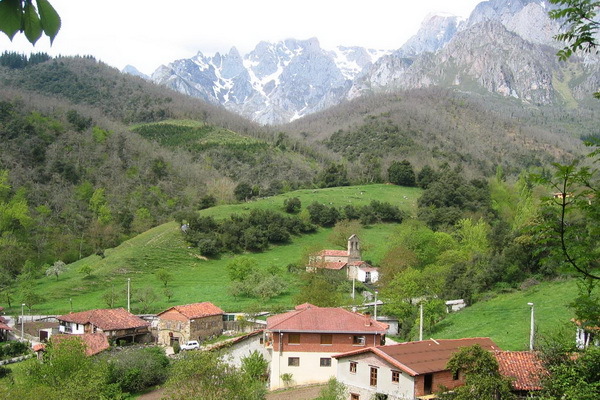 Many outdoor activity companies in Potes offering all sorts of activities. 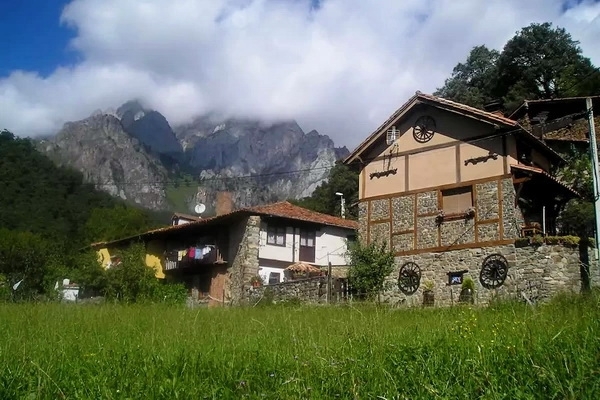 Sample the local tipple "orujo" at Bodega Sierra del Oso In Ojedo (off the road before Potes). Take the cable car up to the heights at Fuente De and enjoy the walks at the top. Get a taste for the local cheeses - track down the many local villages that make their own - Lon, Pido, Baro, Pendes..